As I've mentioned before, I've always suffered with problem skin. I've had acne on and off since I was around 12 years old and I've tried a lot of skincare products as a result. I'd heard a few good things about the Lush Tea Tree Toner water so I thought I would give this a try and see if it worked on my skin. After years of failed products I really wasn't expecting any drastic results, but this has made the most difference in my skin than any other high street product I've tried. As you can see from the picture above, after making my way through the smaller bottle as I tested the product, I immediately went out and purchased the larger bottle. I spray the product directly onto a cotton pad and wipe in circular motions all over my face, focusing more on my t-zone. It works by drying out and cleaning your problem areas and I saw a reduction in my breakouts overnight. As I've used the product more and more my breakouts haven't been anywhere near as bad as they used to be and my skin feelings cleaner and healthier as a result. Obviously, no high street product is going to end any severe acne problems. It won't cure your acne but hopefully it will help in reducing and calming down your breakouts. If you have problem skin and haven't yet tried a product that includes tea tree I would highly recommend. 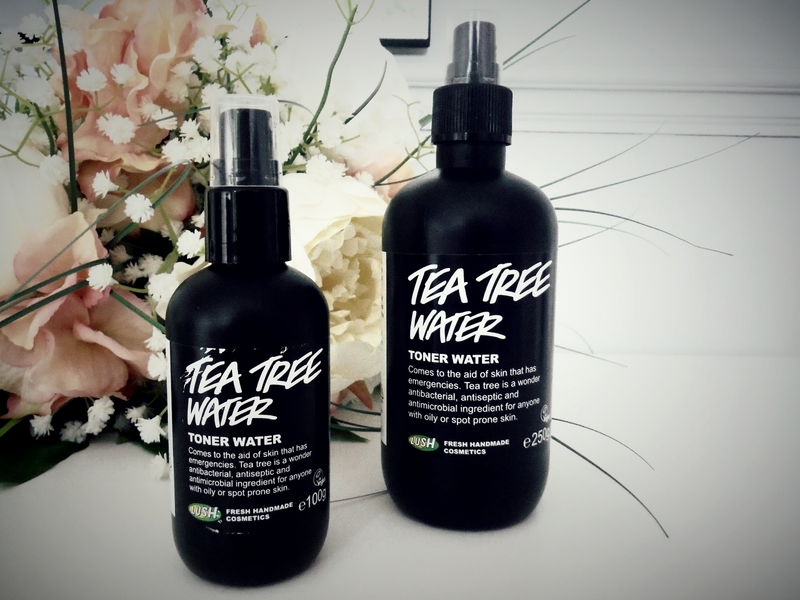 Because this product is a toner water it reduces the strong smell tea tree has and feels much more fresh on the skin. I doubt I'll be trying any new toner products for a while! I have a very similar post scheduled and I absolutely agree - the best thing I have ever bought for my acne prone skin!